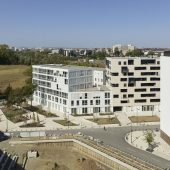 The project is located in front of the junction of three roads including avenue d’Eysines important axis, at the heart of a urban district with a very characteristic typology of Bordeaux. 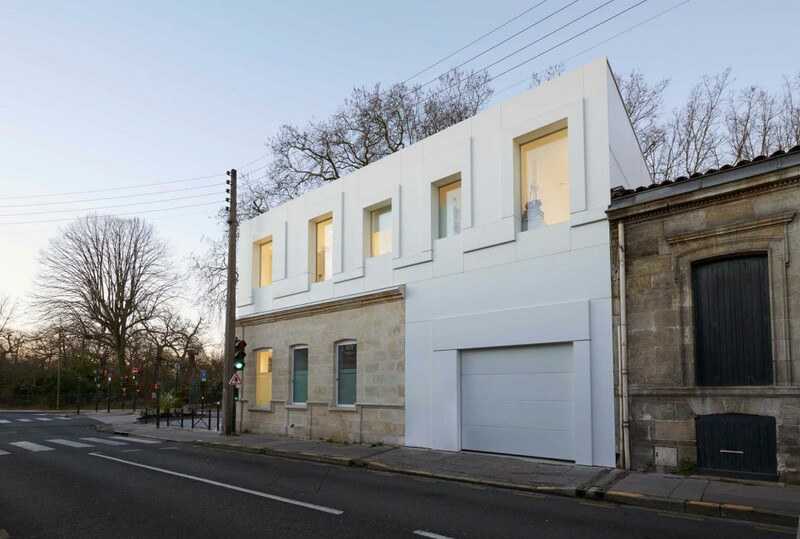 The project involves the transformation of an old restaurant into a dental clinic. This old building made of stone was set back one floor above the street level. The goal of this renovation is to revalorize the existing and fill the void by creating a built front at the street level. This project thus becomes a signal, the beginning of an island designed by roads. Inspired by the notion of an implant in the dental world, the building also implants itself into an existing body. 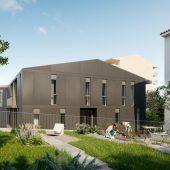 The objective is to integrate a contemporary architecture in a building representative of the traditional architecture of Bordeaux. In order to represent the medical profession and more specifically the dentition milieu, the use of white is rather symbolic. 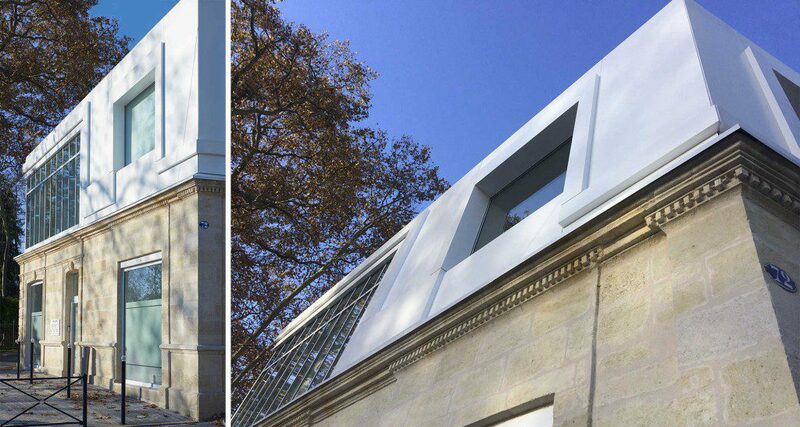 The use of Corian seemed well suited to wrapping a pure volume around an existing one, in contrast with the stone of the old building. 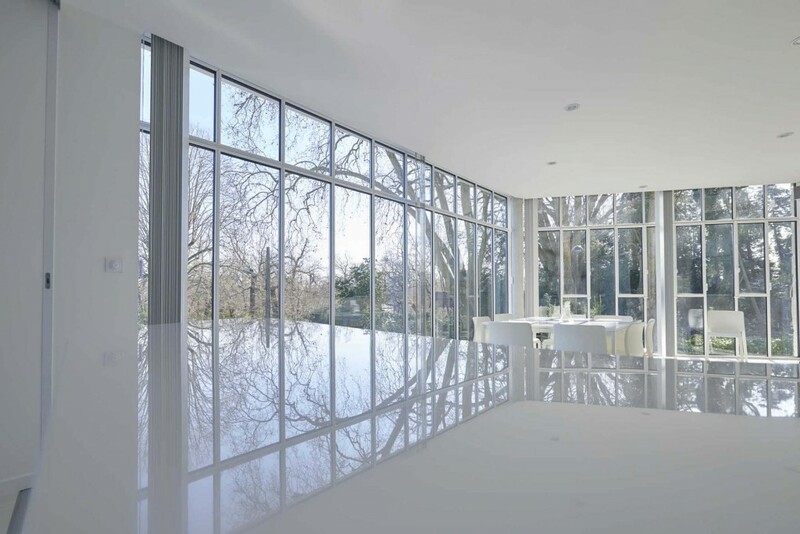 Inside, the two strong elements are the use of white corian and the control of natural light. The white corian then extends the materiality of the facade into the interior. 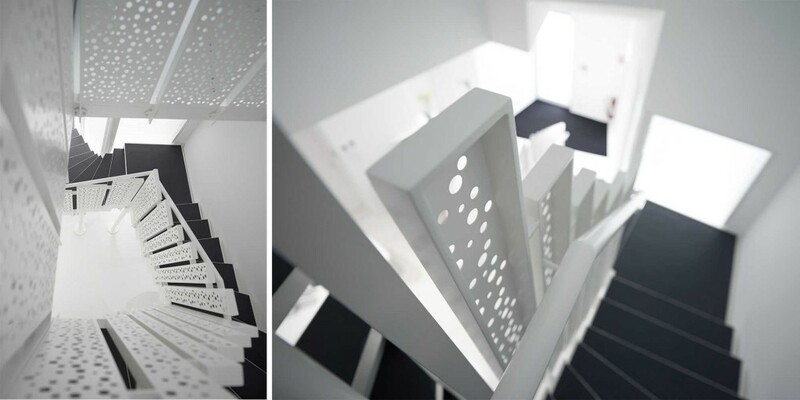 The white palette is immense, with corian-resin-steel-pvc-laminate-materials equipments. It is this polychromy of associated whites that makes the whole space vibrate in a subtle way. Light is dosed, modulated, filtered, as well as bright, clear, according to each space usage. Light is also controlled for the comfort of the customers. 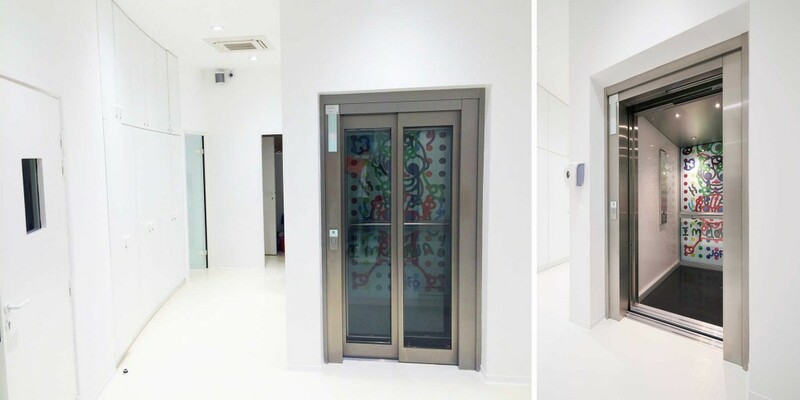 In order to avoid being seen while enjoying a maximum of natural light, slanted openings have been placed in the treatment rooms. The furniture is architectural, the facades of the furniture follow the curves of the partitions, the partitions-furniture-doors border is gummed: each element participates in the balance of the whole. 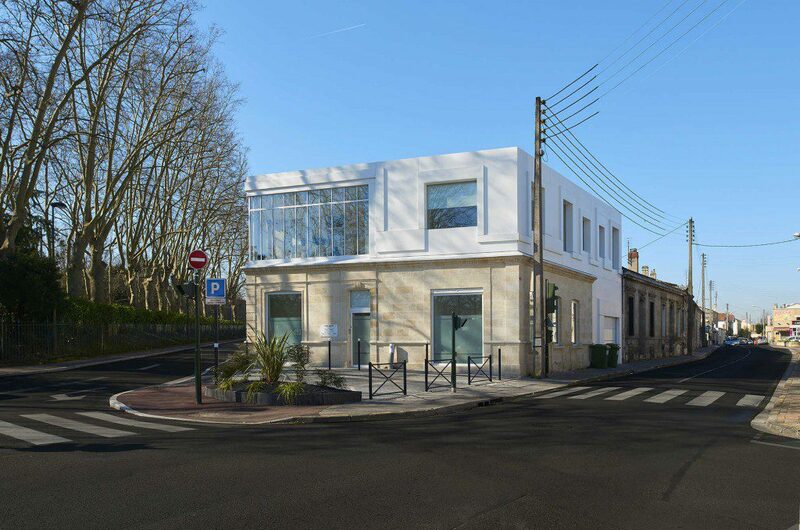 Upstairs, a room overlooks the crossroads: a traditional glass roof with steel profiles and slatted blinds induce a changing dialogue with the trees of the “Parc Bordelais”. 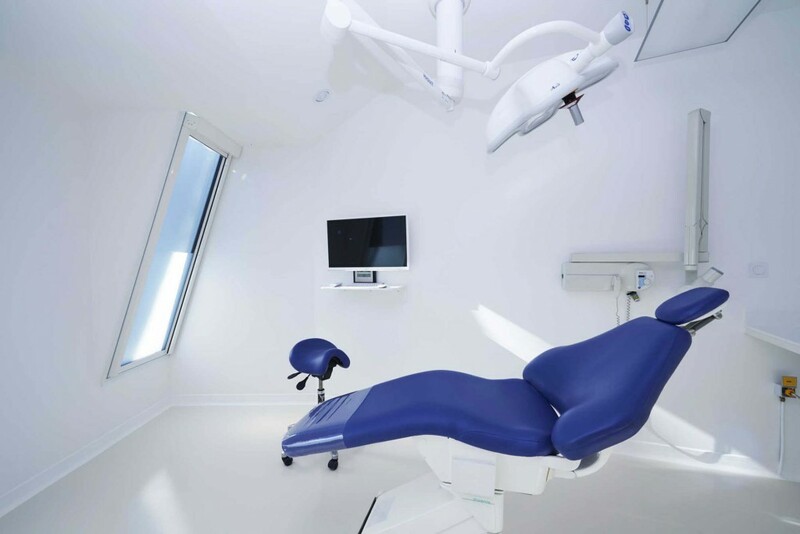 This space welcomes, relaxes as much as it educates, since the room of surgery is visible through a bay: the connected screen allows the surgeon to transmit his knowledge in conditions of optimal comfort for his listeners. 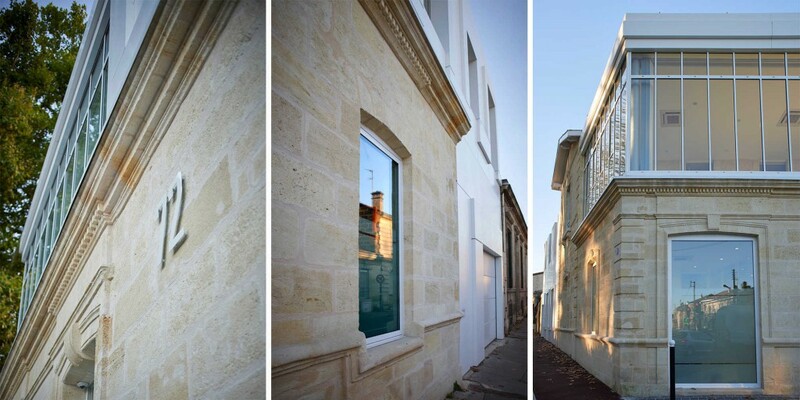 This project being a renovation, the choice of materials was essential for coherency of the whole. First of all, at the structural level, it seemed obvious to avoid weakening the existing structure. The choice was then to build on a wood frame. This allowed to gain lightness but also to save time in the construction phase. 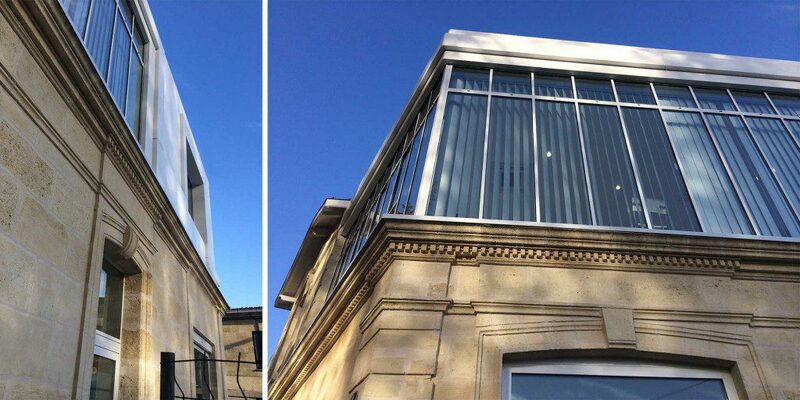 ThenCorian was used in front and inside to give this pure and white appearance. Nonporous Corian is naturally hygienic, with no visible joints, no dirt or bacteria can get in. It is therefore very simple to maintain. 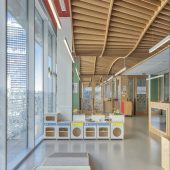 The use of Corian on a wooden structure is a worldpremiere. 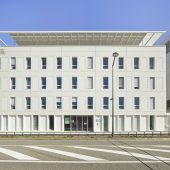 This project has competed for category S of the Regional Aquitaine Architecture Awards (PRAD’A). 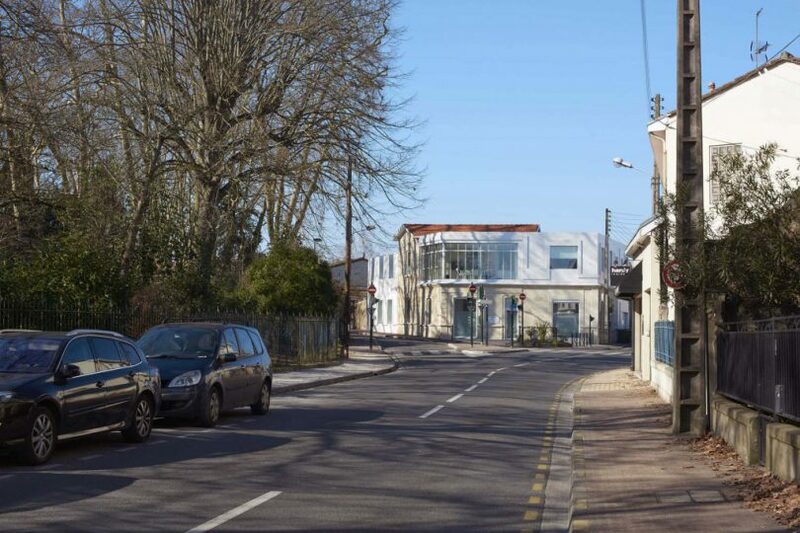 It was also the subject of a press release from Corian France.